1) Will Tony La Russa’s decision to retire as Manager of the St. Louis Cardinals have any impact on whether or not Albert Pujols resigns with the ball club? It will have an impact, but it won’t be the sole basis of his decision. Pujols is going to get a huge contract no matter where he goes. His free-agency will be about who has the best situation for the best player in baseball, as well as who can offer the best deal. La Russa and Pujols have forged quite a strong bond during their tenure in St. Louis, as Pujols has referred to Tony as a father figure on many occasions. The Cardinals have won the World Series, and now La Russa is walking off into the sunset. With La Russa gone, what is keeping Albert in St. Louis? Well, Albert has forged one of the all-time great careers in baseball wearing a Cardinals uniform. He has a home there, he was won championships there and he is a part of the St. Louis community. 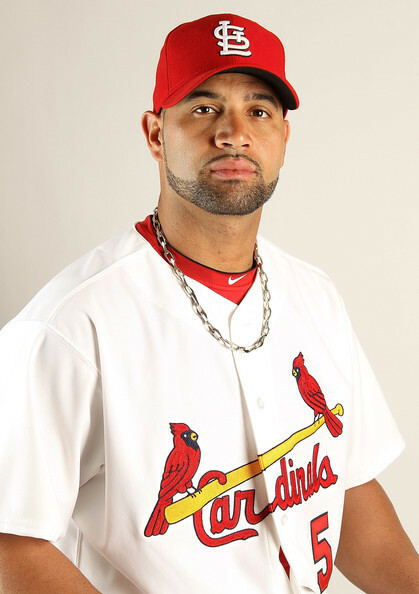 It would be hard to imagine Pujols playing for anyone but the Cardinals at this point. However, as a free-agent, he has at least the option to see what is out there and what he can bring in financially in a new deal. Having La Russa gone would be a drastic change for the star slugger if he were to re-sign, but it wouldn’t be the main reason if he were to leave either. 2) Are the Toronto Maple Leafs really as good as their early season record indicates? It really is hard to say at this point in the season. The Maple Leafs currently sit at 7-3-1, the top of Northeast division and 3rd in the Eastern Conference. Not a bad start for a team that is notorious for….well….bad starts. The real question is whether or not the Leafs can maintain the pace they have set for themselves, which would be very hard to do. All-Star Winger Phil Kessel currently leads the league in points at 18, and is on pace for over 110. Kessel is as streaky as they come, and is known for having 7-8 game lapses during the season where he goes scoreless. His play so far has been incredible, and the Leafs will take whatever they can from Kessel and ride him until the flame goes out, if at all. The Leafs goal-tending has been questionable as of late as well, with Gustavsson going 3-3 in starts replacing the injured James Reimer, who has been out with a concussion. The Leafs goaltenders currently rank 25th in save percentage and 27th in goals allowed per game. Those numbers have to improve if this club wants to stay in playoff contention. The overall health of Reimer is also in doubt as well. Gustavsson has shown that he isn’t a long-term solution in net, so getting Reimer healthy is a top priority. The Leafs great start has been one of the top stories in the NHL, and has given fans reason to put their faith back in the blue and white. Whether this is smoke and mirrors or not remains to be seen. We will have a better indication of who the Leafs really are come December/January. 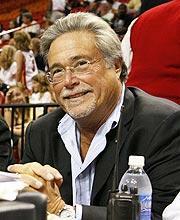 3) Was NBA Commissioner David Stern right in fining Miami Heat owner Micky Arison $500,000 for his Twitter remarks? Heat owner Micky Arison was fined for making comments on his Twitter account that showed that he may not necessarily be with the majority of NBA owners who are demanding financial givebacks from the Players Association. Arison responded with “You are barking at the wrong owner”. Obviously the reason Arison isn’t as concerned as other owners is because he owns a team in a big market and makes a lot more money then say a Minnesota or a Atlanta market would/is. He deleted the tweets minutes later, but obviously it was a long enough period of time for Stern to see them and fine him. A $500,000 fine is quite a bit of money, no matter how rich you are. This was Sterns way of bullying Arison and showing that even though there is a Lockout, that Stern is calling the shots. A little extreme for my taste, as a 2 minute tweet really shouldn’t warrant that hefty a fine, especially one that wasn’t as obvious and deliberate as it may have appeared. That’s the Lockout for you. 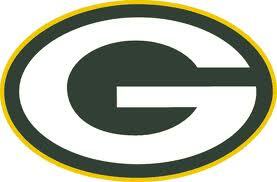 4) Can the Green Bay Packers run the table and go 16-0? The Packers have been on an amazing roll, winning their first 7 games before heading into their bye on Week 8. The rest of their schedule does have its difficult match ups though. They have only one game left all year against a team that has a losing record (The Minnesota Vikings), and they still have 4 division games on tap as well. The Packers do have the talent to run the table and get a perfect season, but their future opponents are no pushovers themselves. If the Packers get to 12-13 wins and secure a playoff spot, whose to say that Coach Mike McCarthy doesn’t bench some starters to get them some rest, thus dropping their chances to win at the end of the year even further. If any team has had a good a chance to go perfect during the season since the New England Patriots, it is this years Packers. I just don’t like the odds very much, and I always take the odds. 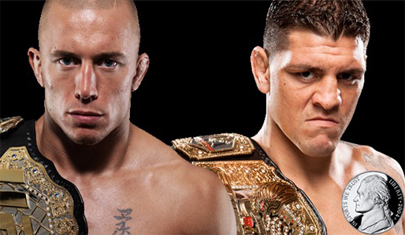 5) Which fight will be a bigger money draw for the UFC….Sonnen/Silva 2 or Diaz/GSP? As of right now, my money is on the Diaz vs GSP fight. I am not saying Sonnen vs Silva 2 will not be a huge money-maker and financial success for the UFC, because it clearly will be. The stipulation of if Chael Sonnen wins, Silva leaves the division and if Sonnen loses, he will leave the UFC forever will obviously not be officially put into any contract they sign. Maybe it will be just a moral and mutual agreement they come to perhaps. That takes away from the fight itself in a sense, because I do feel that Anderson Silva would have his way with Chael Sonnen, as do a lot of other fans of MMA. A motivated Silva is a dangerous human being, and the odds of the fight being a short affair are highly increased because of it. Either way, fans will tune in to see one of the greatest upsets in MMA history….or see Sonnen get his faced kicked in. With GSP and Diaz, you have 2 fighters who both are at the top of their games fighting wise. You have the added animosity now because of Diaz and his calling out of George after his UFC 137 fight win over B.J Penn, and you also have the fact that these 2 were actually supposed to fight at that event, but it got cancelled, adding more fuel to the fire between the combatants. There is a better chance of Diaz beating GSP then there is of Sonnen beating Silva, and that will make the Diaz/GSP fight a bigger draw overall. Both fights and shows should draw great PPV buyrates, outstanding revenue and set record numbers. 6) Did the WWE bury their Survivor Series Main Event (John Cena and The Rock vs Awesome Truth) by having Cena squash both the Miz and R-Truth on Monday Night Raw? In a way, they did. The WWE is really hoping for huge buy rates for the Survivor Series this year, having the Rock wrestle for the first time in 7 years. No matter what, people will be intrigued and interested to see what the Rock does in his return, regardless of who the opposition is. I believe the way the WWE handled the end of RAW, with Cena getting the upper-hand on Awesome Truth does take away from the mystery of the match though, and whether or not Miz/Truth have a chance to win at S.S. If John Cena can take care of them both on his own, then why need the Rock? I don’t believe the Main Event is now buried though. Having Cena and The Rock, the 2 men who will fight in the Main Event of Wrestlemania 28 team up, will draw in numbers regardless. There are now 2 ways they can end this match. Either the Rock and Cena get the clean pin over the Miz and Truth, and tease tension before their Wrestlemania 28 match, or they have one of the 2 turn on the other, causing perhaps a heel turn in the process. Regardless, I will definitely be checking out Survivor Series in 3 weeks to see how this all unfolds. This entry was posted in Ask Walder: Sports Q & A. Bookmark the permalink.